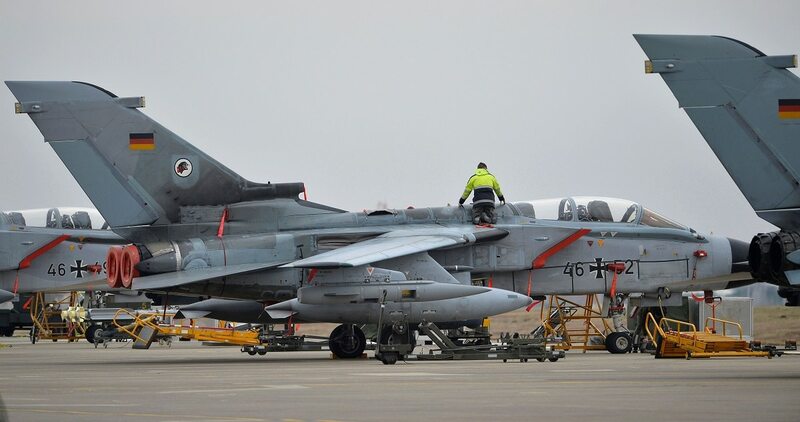 COLOGNE, Germany – Germany’s Tornado aircraft are still behind the curve when it comes to the critical capability of night vision, the defense ministry has told lawmakers. Defense officials blame the delay, expected to last at least through 2018, on a personnel shortfall in the government office responsible for certifying the technology as deployment-ready, according to a confidential report seen by Defense News. The problem is two-fold: For one, the cockpit’s current display lights are not suited for night-vision mode, meaning pilots wearing light-amplifying goggles are blinded by them. Secondly, military certification officials are unsure they can obtain the technical documentation from the goggles vendor that would be required for a fleet-wide stamp of approval. When media reports surfaced in early 2016 that German Tornados providing reconnaissance over Syria and Iraq under Operation Inherent Resolve were unable to fly at night, the defense ministry within weeks retrofitted some aircraft with an interim solution. Even so, officials then said the night-vision capability was effectively unnecessary because the aircraft were only collecting imagery during the day. At the time, a Bundeswehr photo quickly spread that showed a pilot wearing night vision goggles sitting behind the faint green glow of newly modified flight instruments, and the story mostly faded from public view. But that makeshift fix remains an exception, and a suboptimal one at that, according to the defense ministry report. A fleet-wide implementation has “for years” been hampered by a shortage of certification experts, though a higher priority is now assigned to the project and a key qualification test is eyed for July, the report states. Plans to schedule that review for February fell through because the requisite office was booked for more important work: Planes flying reconnaissance missions against the Islamic State are in dire need of improved communications security by this summer. The Tornado aircraft are the product of a decades-old, multinational cooperation between Germany, Italy and the United Kingdom. The German aircraft are entrusted with deploying U.S. atomic weapons for NATO in the case of a nuclear war. The air force still operates 88 of the planes, which are slated to remain in service until 2035. The British, who said they will dial back their Tornado involvement, have previously modified their fleet to enable night vision. Der Spiegel reported on its website in late March about the German planes’ problems with encrypted communications, which would endanger Berlin’s contribution of ten aircraft to an enhanced NATO Response Force. The air force responded that aircraft set side for that mission would meet all requirements. Germany is in the market for a Tornado replacement. While defense ministry leaders have said they prefer an upgraded Eurofighter Typhoon, air force leaders have suggested a preference for the U.S. F-35. Variants of the F-15 and F-18 fighters also are under consideration.